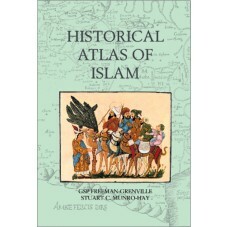 This atlas describes in pictorial form the course of the expansion of Islam all over the world, from the initial conquests to the present day. The drama of the events that brought a religion born in the Arabian desert, and its vehicle, the Arabic language and script, into far-flung regions of the world, is illustrated and described by these maps and texts. The historical processes active in each separate theater of action are indicated, from the outset to the present day. Islam has experienced checks and reversals, as in Spain and Eastern Europe, temporarily during the Crusades, and in aspects of European colonial rule. Yet it remains an active and still-spreading phenomenon whose influence in different parts of the world is profound, and, to many non-Muslims, mysterious and little understood. As the illustrations show, the growth of Islam in the different regions of the world was both a religious and a cultural phenomenon, entailing at times an extraordinary flowering of literature and the arts, and some superb architectural achievements. Cairo and Baghdad, Isfahan and the cities of India are among the indices of the level attained.